This credit-card size resource is about the human papillomavirus (HPV) vaccination. It is for young people aged 11+ and their guardians. It explains how the vaccine helps protect against cervical cancer, any side effects, and how safe it is. 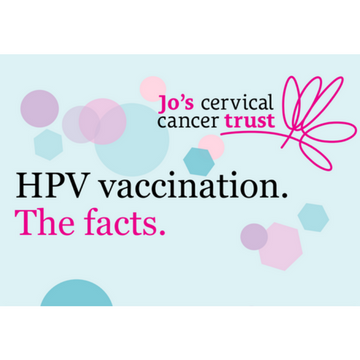 This resource also has general information about cervical cancer, cervical screening and the HPV vaccine. Last reviewed Sep 2017. Next review Sep 2020. Available to download as a PDF or to order as a printed copy.